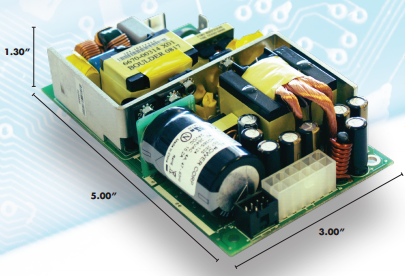 12V @ 30.4A, 5VSB @ 2.00A, 12V @ 1.00A, Total Power 365 Watts, 200W without Fan. Status/Contols: Remote Sense, PS Eneble, DC OK, 5V Standby, 12V Aux. 3"x5"x1.3"